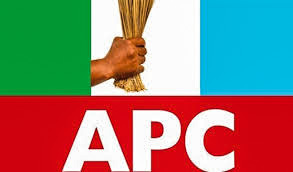 Internal wrangling, non-compliance with its constitution, and laid down procedure of right of refusal in APC rules is causing disaffection in Adamawa APC ahead of the 2019 Gubernatorial primary and absence of law of process are some of the signals that the ruling party is toeing the same destructive path that led to the downfall of the Peoples Democratic Party. The All Progressives Congress (APC) is indeed an extra-ordinary party. It is the party that defeated an incumbent in Adamawa and in Nigeria in 2015. Not a mean feat in this part of the world. However, it appears that the party was formed for the purpose of defeating Dr Goodluck Jonathan because after achieving this feat, the party has been struggling to remain united. Despite the efforts of Gov. Bindow’s possible best to see the party in Adamawa emerged victorious in all the contest in 2019, some unscrupulous element in convenience with Abuja Politicians is trying everything possible to outdo Bindow in 2019 and to return Adamawa State to stone and dark age. This has led many to wonder what happened to a party that promised so much against imposition and right of refusal to incumbents within the APC. Having achieved the purpose for which it was established, the party appeared not to have given adequate thought to what would happen after the election. Dasin pointed out that one of the mistakes APC is making in Adamawa is current rumors of trying to impose Halilu alias Modi an unpopular candidate and depriving party members the opportunity to choose the person they wanted. Although the party has continued to manage the various power blocs that are spoiling for a show down by avoiding to hold some of its statutory meetings, this is not a sustainable tactic. Admirers of the party have waited endlessly for the party to get its acts together, consolidate on its unprecedented 2015 presidential elections victory and bring about the change it promised. But going by events that have characterised the activities of the party since it assumed power, such expectations are likely to wait much longer because of the discordant tunes within the rank and file of the party. Indication that all is not well in the APC is evidenced in the fact that the party has continued to flagrantly flout some provisions of its constitution by derailing from its earlier assertion that “the Governor is the leader of the party in a state. For instance, while APC constitution expressly specified that the Governor is the leader of the party in their states, the meddlesome activities of the national APC is worrisome and questionable especially in Adamawa State, how rules can be bend because a brother to the first lady Aisha Buhari want to contest with Bindow in APC primary. The inability of the operators of the party machinery to stand by the rules of the games will definitely shattered the chance of the party in some many states in Nigeria. Many members of the party are dissatisfied with the way the party is being run while others who wanted to join the party are also being discouraged. If there is one thing that political observers of the situation within the APC agreed upon, it is the fact that there is a widespread disaffection within the party. However, many of the aggrieved parties appear to have resolved to stomach their disenchantment till the right time before they speak out. A simple pointer to that was the outburst of Halilu alias Modi boosting to having the First Lady Aisha Buhari, backing to contesting against Bindow in 2019. The root cause of the fault lines in the party is the recent picture of president Buhari in a picture shoot with his in-law, Modi to stand against Bindow in 2019. We know how there was disquiet in the presidency when Aisha Al Hassan endorsed Atiku instead of Buhari some months back, why is Buhari towing same path of supporting his in-law against Bindow in 2019?. We know how Buhari was bitter in 2007, when he complain that some members of the defunct ANPP betray him to joined GNU of Yardua, history is about to repeat itself as Buhari openly endorsed his in-law over a sitting Governor of Adamawa state. The fact still remain that whether it is direct or indirect primaries conducted in Adamawa Today, Bindow will still conquered Nuhu Ribadu and Modi put together. We don’t need to be reminded that Gov. Bindow is a child of destiny, despite huge amount of money given to delegates in 2015 by the former Vice President, Atiku Abubakar to support Yayaji in 2015 APC primary, Bindow emerged Victorious. I promise Modi and Nuhu Ribadu that, I and them will here when Bindow will emerged victorious in 2019 APC primaries in Adamawa. Gov. Bindow Fear not! For God will help u to conquer those that gang up against you.